Time for another vegetarian delight! 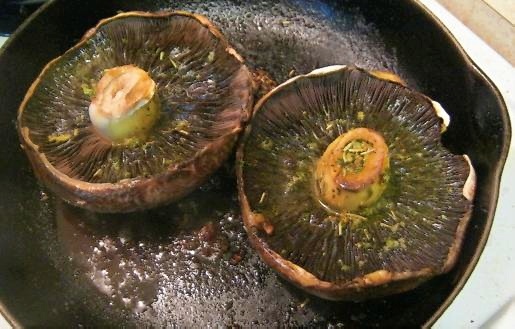 Portobello mushrooms are overgrown cremini mushrooms – and I love both versions of this tasty fungus. 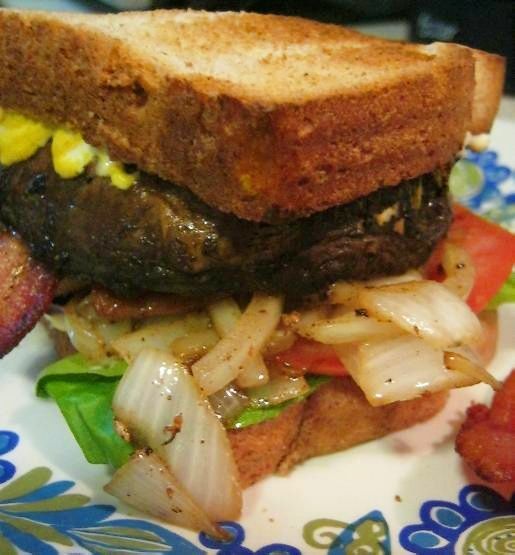 Admittedly, these fungus burgers can’t be called meatless because I added bacon, but portobello mushrooms are so hearty and meaty that you can definitely do without the bacon and still have a filling and satisfying meal. But – it’s bacon, so I’m happier to leave it in! Portobello mushrooms can be sautéed, roasted or grilled to make a very juicy, hearty burger. However you choose to cook them, it only takes a few minutes – just long enough to be tender and soft near the center. Somewhere around 5 – 7 minutes. This is such a quick & easy meal for busy evenings! I made 2 burgers. The measurements for the marinade aren’t an exact science. Double up if you are making extra mushrooms, you can experiment with adding hot sauce, mustard, worcestershire sauce, or any spices you like. Place mushrooms gill side up in a container and pour marinade over top. Marinade 20 – 30 minutes turning mushrooms to coat occasionally. Heat oiled pan or grill to medium-high heat. Cook mushrooms gill side down for 5 minutes. Flip and cook other side ~2 minutes or until tender and soft near the center. Top mushrooms with cheese during last minute of cooking. I used a sharp, aged white cheddar – blue cheese would also be amazing with this burger! Assemble with all those tasty fixin’s and enjoy! 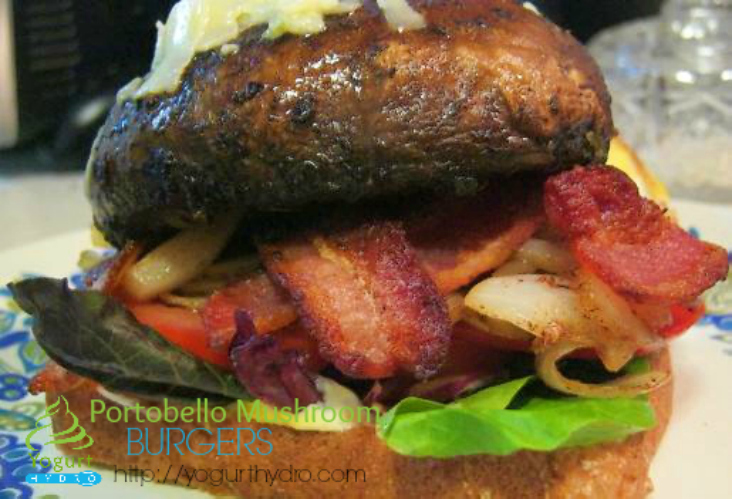 Have you ever tried a portobello mushroom burger?